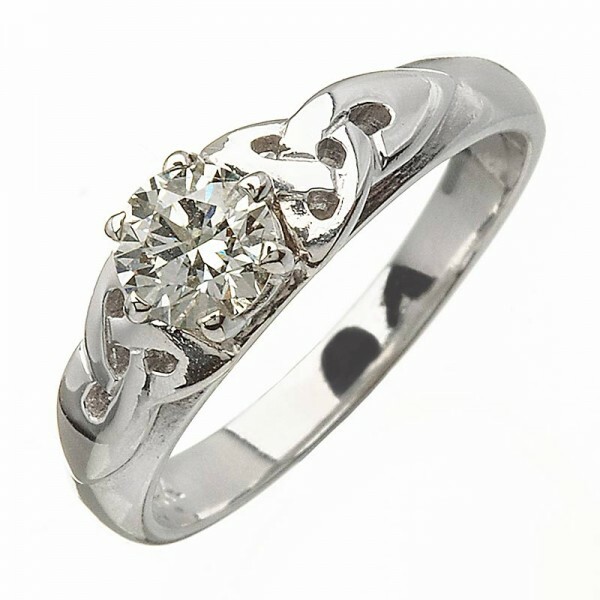 A stunning Irish Engagement Ring! From the Boyne Diamond Collection - the intertwining knots are a symbol of the intertwining of two minds and bodies. Made in White 14 Karat Gold it features a Brilliant Cut 0.25 Carat Diamonds which beautifully sets off the symbolism of the ring. Sizes available from size 4 to 8.5.